Discover How to Adopt a Nourishing Plant Based Diet and Achieve Your Weight Loss Goals There is a lot of popularity around diet and fitness, and it is always changing and expanding. People from all parts of the world are wanting to improve their bodies, and they are looking for answers. The problem is there seems to be unlimited options to choose from. There is a diet for every person and preference. And not every diet is effective, or will work for every person. Also, not every diet is necessarily healthy for you. With all the diets that are available out there, it can be overwhelming to choose the most appropriate diet for your body and your goals. This book is designed to help you clarify what you really need and want, and to sift out the rest. Although there are many plant based options to choose from, they all involve reducing unhealthy packaged foods and animal products, and embracing plenty of fruits and vegetables; and other healthy, vitamin-packed foods. No matter what you decide for yourself, you can be assured that you are choosing a more nutritious option than you originally had. This lifestyle will not involve you going hungry, or eating packaged diet foods that contain strange, scientific ingredients. This is a lifestyle that is based around wholesome foods, that your body will love and thank you for. I will guide you along the way, giving you the tips and advice that I use myself to make positive changes and healthier choices. 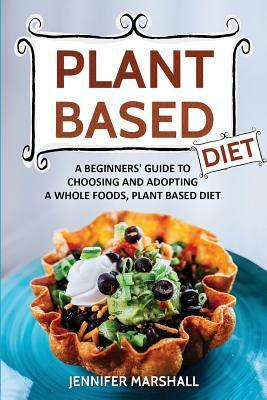 Here is a preview of what you will learn… What It Means to Eat a Plant Based DietDifferent Ways of Eating Plant BasedSetting Goals for YourselfBuilding the Right Motivation and DriveBenefits and Cautions for the Plant Based DietWhat to Enjoy, What to EliminateReading Nutritional LabelsStocking Your Kitchen ProperlyMeal Planning and Preparing Your Grocery ListHow to Stick to Your New Healthy Eating HabitsAnd Much, Much More!